Private Lessons with Robin McGuirk. Availability: Year round by appointment. All ages and skill levels welcome. 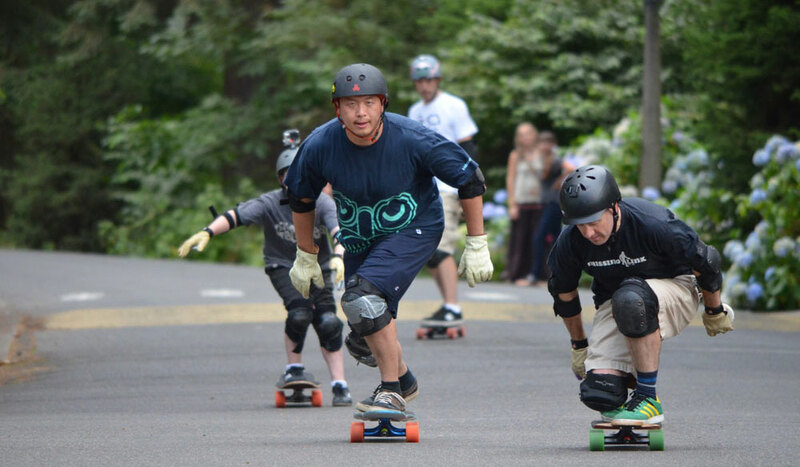 Student Discounts: All students from my classes or private lessons can receive a student discount of 10% on any longboard gear such as a complete board setup customized just for your size and needs. Students also receive a 10% discount on any safety gear such as helmets, slide gloves, and pads at Daddies Board Shop retail store in Portland by letting them know you are a student of mine. I specialize in setting up riders of all ages and styles with the right gear for them. As well as teaching the safety and skills needed to become a successful rider. 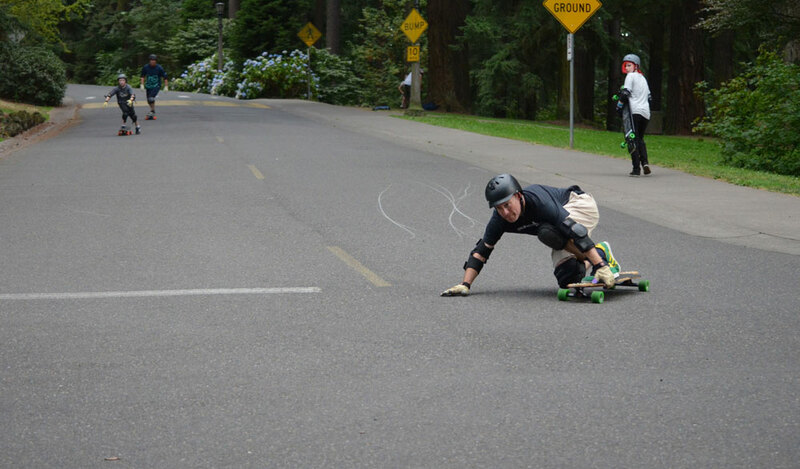 I am your complete longboarding resource and guide, always happy to help! 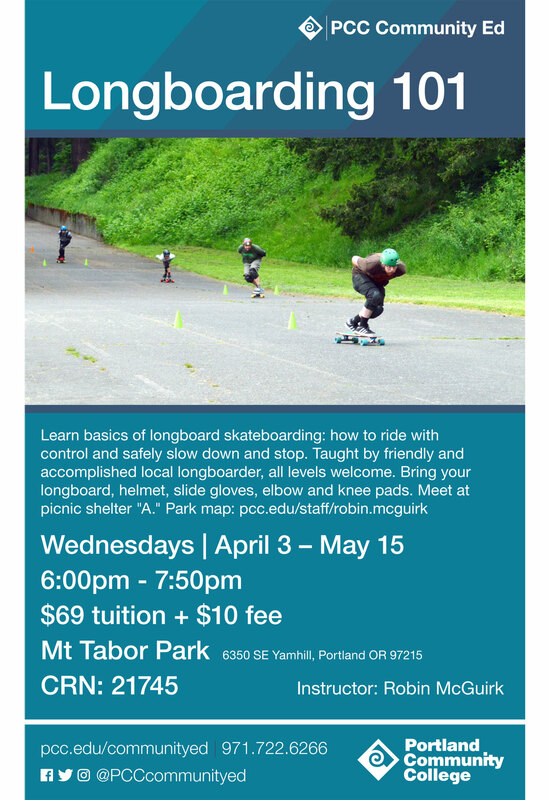 Learn the basics of longboard skateboarding: How to ride with control and safely slow down and stop. 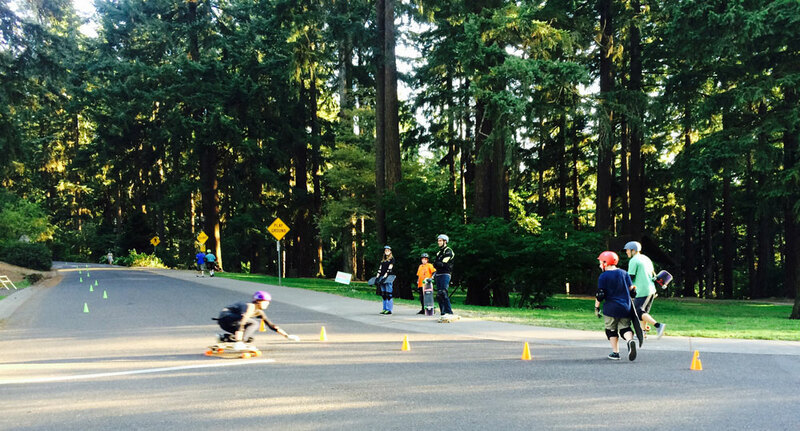 Focus on downhill and sliding in a permitted group setting. All levels welcome. Ages 16 and up. 20 student max class size. Required gear: Longboard, Helmet, Slide Gloves. Recommended gear: Knee and elbow pads, old pants and sweatshirt, skate shoes or shoes with flat flexible bottom. 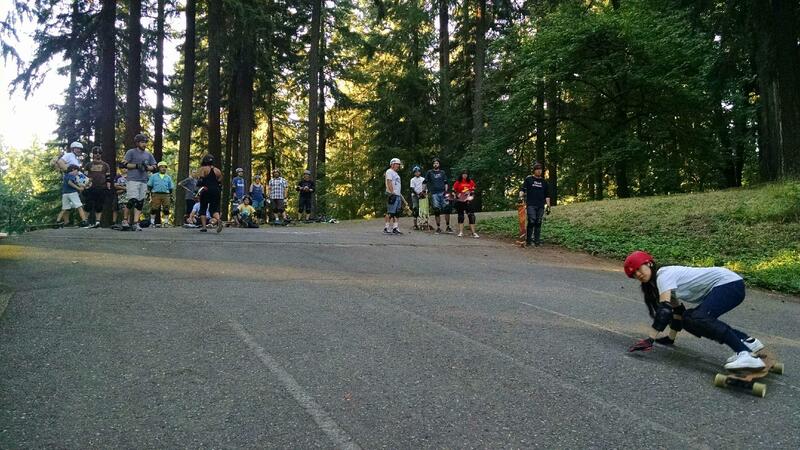 Students learning the art of sliding at the top of the Soapbox hill at Mt.Tabor. Students learning how footbrake to control speed and get comfortable riding close together.